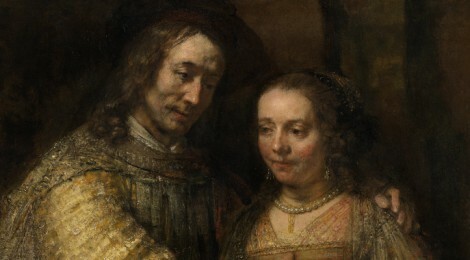 This is another of Rembrandt’s great Baroque portraits which he completed during his last years. Like The Suicide of Lucretia (c.1666, Minneapolis Institute of Arts), it exemplifies the artist’s genius for expressing human emotion on canvas, and is rightly considered to be one of the greatest portrait paintings of his final period. 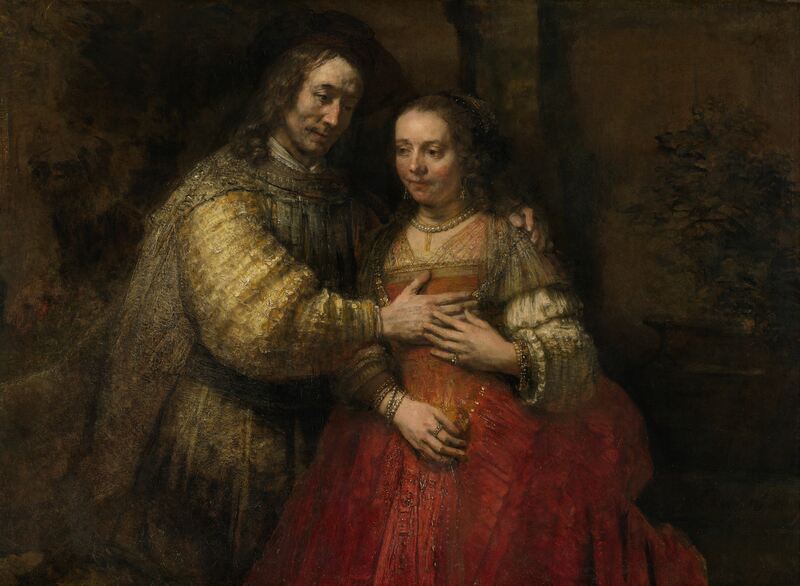 The painting acquired its current name during the early 19th century, when a Dutch art dealer described the subject as that of a Jewish father giving a necklace to his daughter on her wedding day. Today, while the identities of the two people remain obscure, most art historians believe them to be Isaac and his wife Rebecca from the Old Testament. A highlight of the permanent collection of the Rijksmuseum in Amsterdam, the picture is one of the few real expressions of love created by Dutch Realist artists during the 17th-Century Baroque era.